You’ve decided you want to do something about your money this year. Great! You might even have a few goals in mind. Even better! You might want to get out of debt, save more money, or give more. All great ideas! But to be honest, those all sound a bit fuzzy — when February rolls around, you might not have gotten any closer to those amorphous goals. Start turning your ideas into reality by getting SMART about your goals! Specific: Be very clear with yourself and your partner — what exactly do you want to accomplish? Who’s involved? Which Envelope will it affect? Measurable: Put a number on it. Aim to save $300, and celebrate half way at $150. If you just want to “Save more,” it’s hard to stay motivated. Attainable: Set a goal you really think you can achieve. If you have $10,000 in student loan debt you want to pay down, it might be more realistic to bite off a chunk of that for this year. You’ll work on the next chunk next year. Relevant: Does this seem worthwhile? You’re going to spend energy working toward this goal, so make it count! Pick something meaningful to you. If you want to give more, choose a cause or organization close to your heart. Time-bound: Give yourself a deadline. Enough said. Turn those weak goals into SMART goals like this! Weak Goal: Get out of debt. SMART Goal: Pay off my Visa card balance (specific) of $1000 (measurable) with $100 per month from reduced Groceries spending (attainable) so I can start the end-of-year holidays with no credit card debt (relevant). Deadline – October 31 (time-bound). Weak Goal: Save more money. SMART Goal: Add to my retirement savings account (specific) with the maximum contribution of $6000 (measurable) by signing up to have $500 of my monthly paycheck directly deposited (attainable) so I can retire in my own home (relevant). Deadline – December 31 (time-bound). SMART Goal: Donate to my local cancer charity (specific) 10% more this year than last year (measurable) with earnings from my side job (attainable) in honor of my aunt who battled cancer (relevant). Deadline – the annual fundraiser on July 15 (time-bound). Now it’s your turn! What are your SMART goals for this year? Tell us in the comments! P.S. 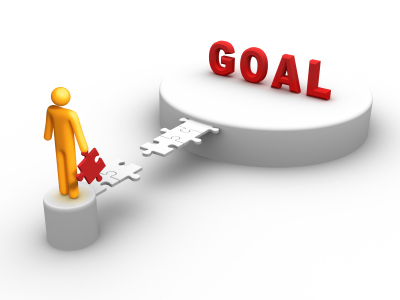 Check out more tips about how to make SMART goals in this Wikipedia article. But wanna admit that this is extremely helpful, Thanks for taking your time to write this. “Some things have to be believed to be seen.” by Ralph Hodgson.